Most commercial toothpaste brands contain Fluoride, Sodium Lauryl Sulfate, Titanium Dioxide and other dangerous or controversial ingredients. Fluoride for example is linked to brain damage, lower IQ in children, thyroid suppression, dementia and other health issues. Sodium Lauryl Sulfate is linked to endocrine disruption and even cancer and Titanium Dioxide is linked to autoimmune disorders, asthma, and Crohn’s disease. 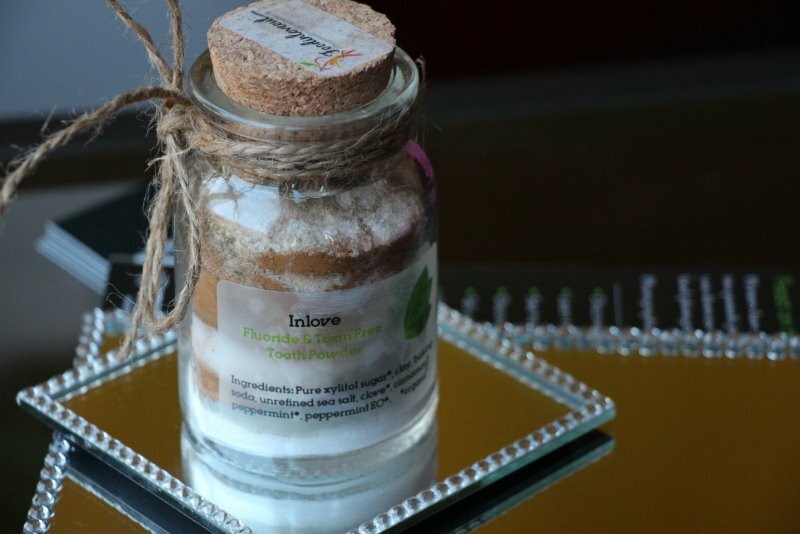 Here is the breakdown of the suggested ingredients that you can use in making your own tooth powder. Xylitol (low glycemic, sugar like sweetener) is shown to prevent caries. Xylitol inhibits and eventually destroys “caries bacteria”. Not all xylitol products are equal, so you will need to buy a high-quality xylitol obtained from a birch tree from Finland and pay close attention that it doesn’t contain GMO ingredients. 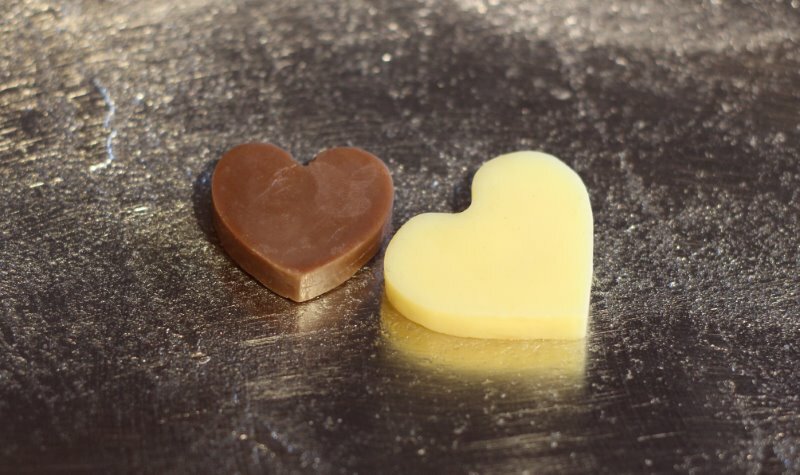 The brands like Xylobrit or Zylosweet (EU) and Smart Sweet (US) are good-quality choices. 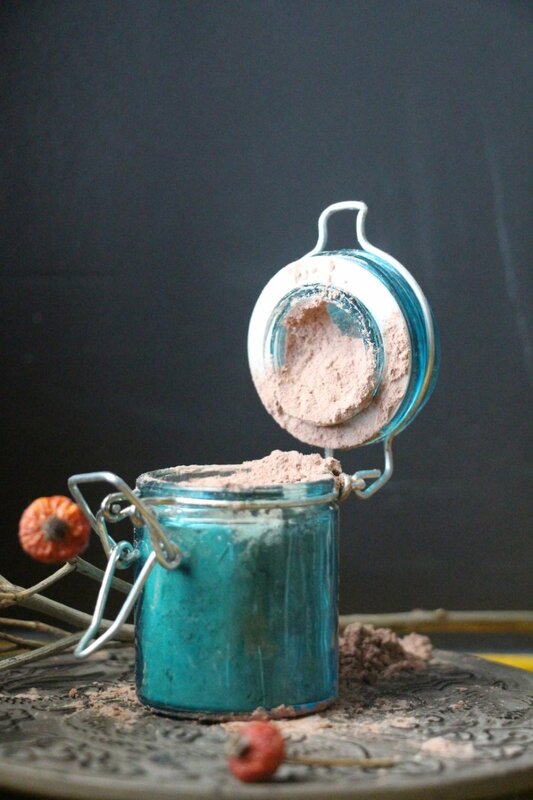 CLAY is a gentle cleanser with detoxifing properties and rich in minerals which support tooth remineralization. SODIUM BICARBONATE (baking soda) is a mild abrasive tooth polish that helps remove stains and whitens the theets. Unrefined sea salt is antibacterial and helps with tooth re-mineralization. 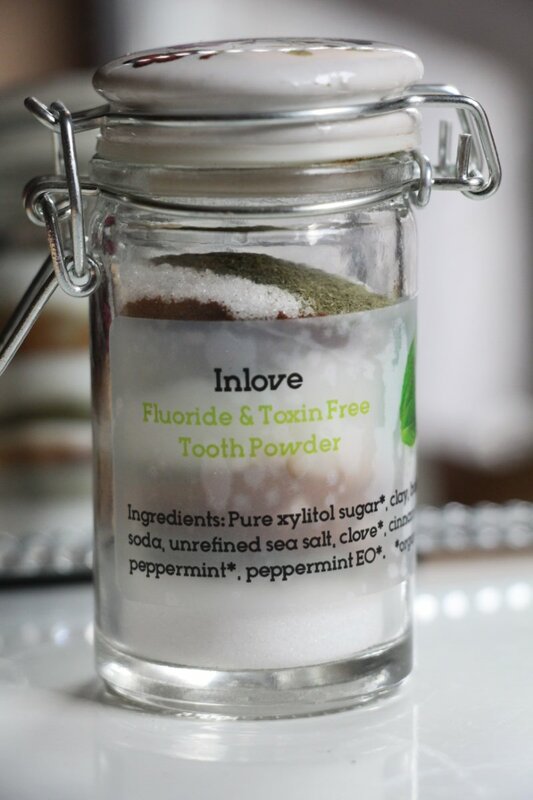 Besides giving the toothpaste a great flavor, clove powder, ground cinnamon, and ground mint have specific health properties that support tooth and gum health. Activated charcoal has been used in ancient times and even today it is used as the poison remedy in many emergency rooms. Charcoal works by attracting (absorbing) toxins and provides a quick relief from poisoning. Fortunately the charcoal doesn’t attract the substances that we need like calcium, copper, iron, magnesium, zinc and others. Another great thing about it is that charcoal happens to attract tannins (the compounds found in coffee, tea, blueberries, wine etc.) responsible for staining our teeth. The only downside is that it colors temporarily your tooth (and tooth powder) in dark black/brown, but goes off as soon as you rinse it. Mix all ingredients in a glass jar. Add a little to a wet toothbrush and brush as normal. Feel free to add or adjust ingredients based on your needs. In case you would prefer to buy it, here the link to our newly opened store FoodInLoveOut’s Truly Homemade Natural & Organic Beauty Products. COCOA Dry Shampoo is good for all hair types – oily, normal, and even dry when used sparingly. It is great alternative to the traditional shampoo when traveling, camping or just super busy. Dry shampoo works by absorbing excess oils on your scalp and hair, and creates beautiful texture leaving your hair looking like freshly washed. It is indispensable for a busy girl, mom, or just about anyone with a busy lifestyle. Commercial brands, as you can imagine, contain controversial ingredients so you are better off making your own Cocoa Dry Shampoo, 100% made of all natural and organic ingredients, TOXIN-FREE and SAFE. 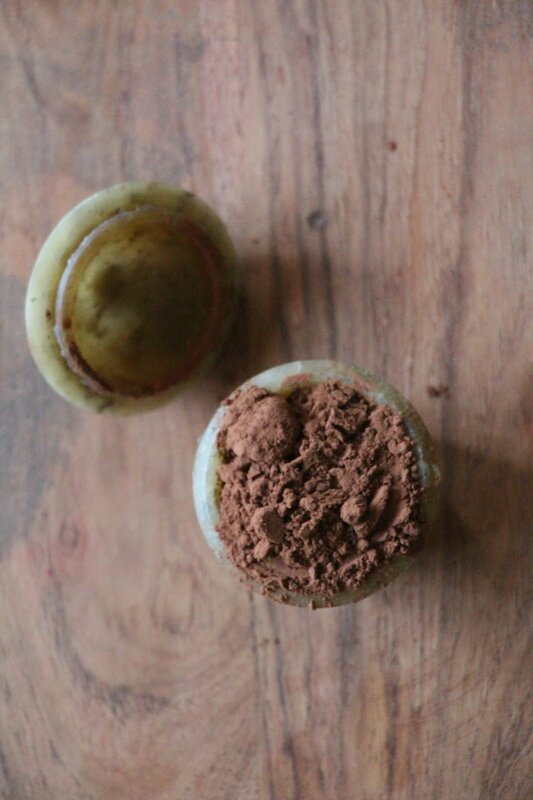 INGREDIENTS Arrowroot powder, Cocoa powder. 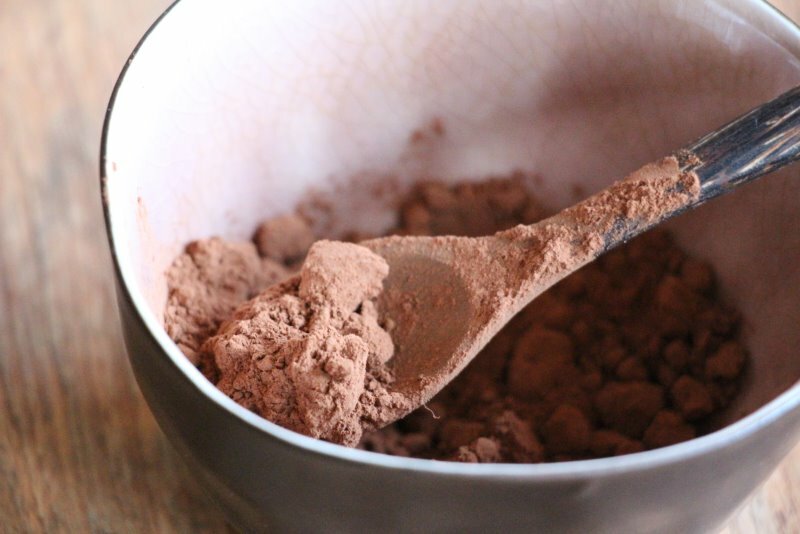 STEPS Mix the arrowroot powder and cocoa together. 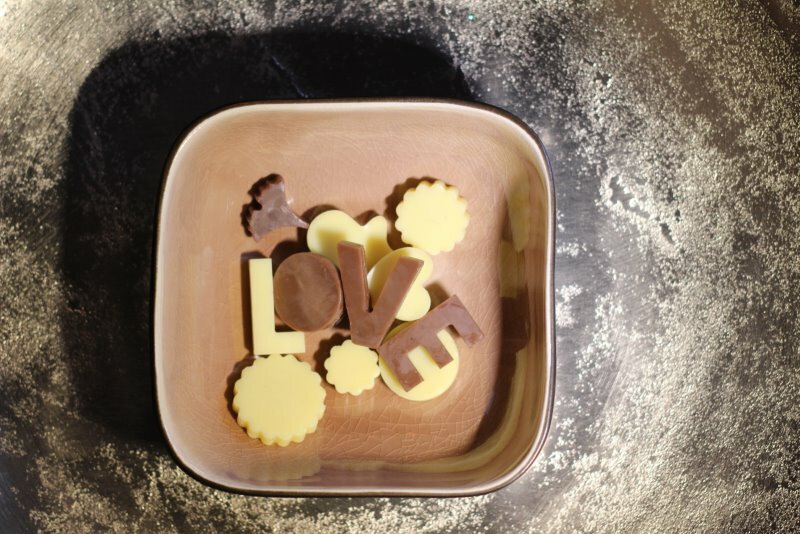 More arrowroot for light hair, more cocoa for dark hair. APPLICATION Dip your make-up brush in dry shampoo. Divide hair into sections and brush your roots, moving from the crown of your head down. Allow the powder to set for couple of minutes, then brush thoroughly. Tip: LESS IS MORE. Over-application can make your hair look chalky. Don’t wait until your hair is super-greasy. The dry shampoo should be used as soon as the hair starts showing the first signs of oiliness. In case you are not interested in making it, you can order it here. You can even use it as the makeup foundation! Traditional Mineral makeup products use nano-particles that are guilty of skin-aging, cause DNA damage, and stimulate the production of free radicals linked to cancer. So isn’t it handy to actually use your dry shampoo as the makeup foundation :)? Obviously you need to experiment to get it close to you skin tone. 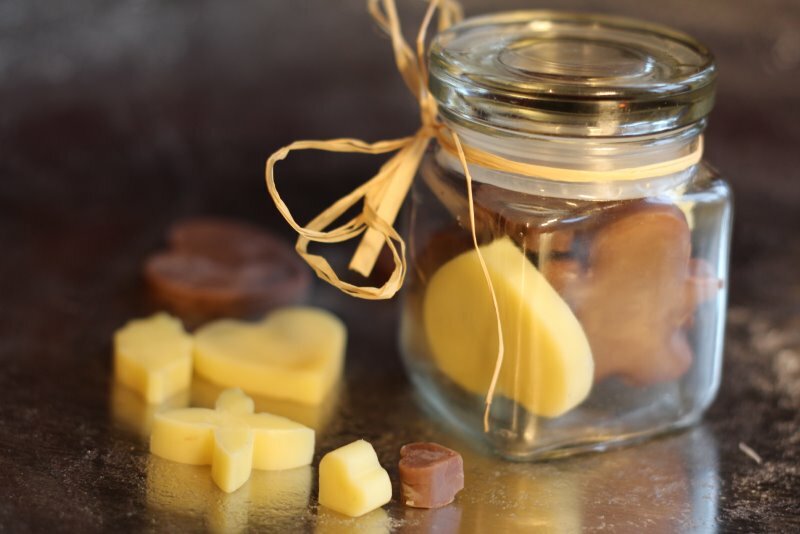 In addition to cocoa and arrowroot, you can play with French green clay, bentonite clay or eventually finely ground cinnamon, fruit powders (Please be careful with cinnamon – it can cause skin irritations).